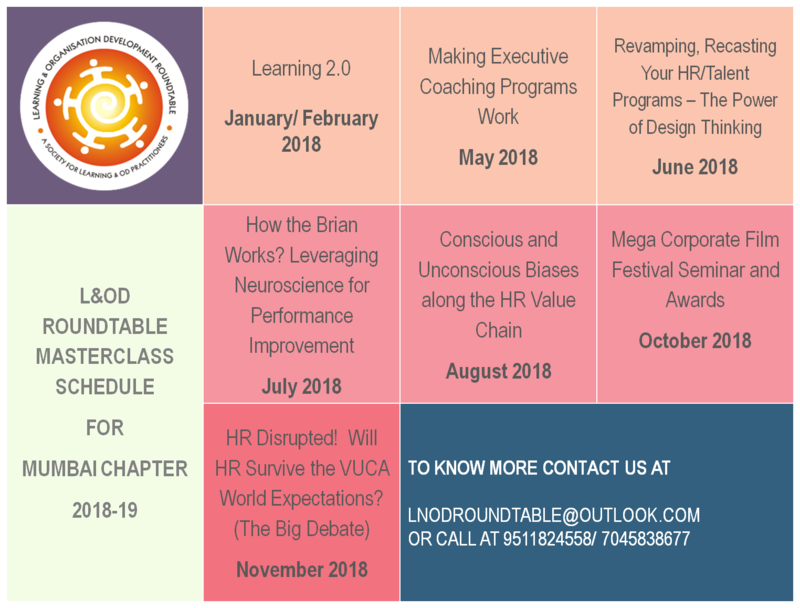 12 Masterclasses throughout the year including L&OD Insight, Big Debate and Knowledge Sharing Sessions. Access to 06 Webinars throughout the year Cutting Edge topics delivered by Industry Leaders and Experts. 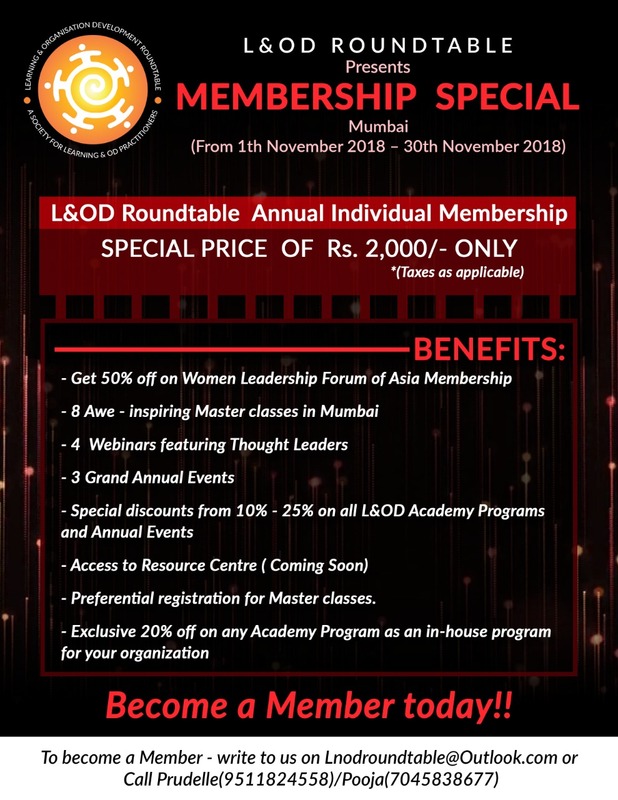 15% Discounts On L&OD Open Programs and Conferences, Exclusive Preview Invites to reserve your seats. Social Networking with other members. 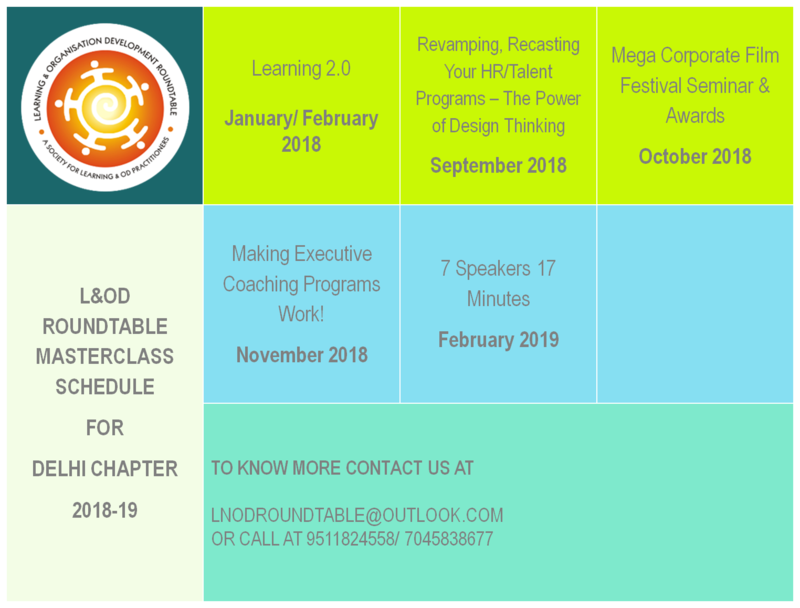 Share your learning and Expertise on the L&OD Website. Implementation Kits – These exclusive kits will help you drive Learning Initiatives in your Organisation. 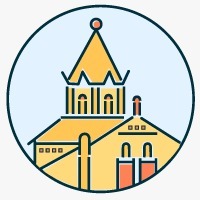 Certifications – Professional Development Opportunities and Certification Programs at great discounts. 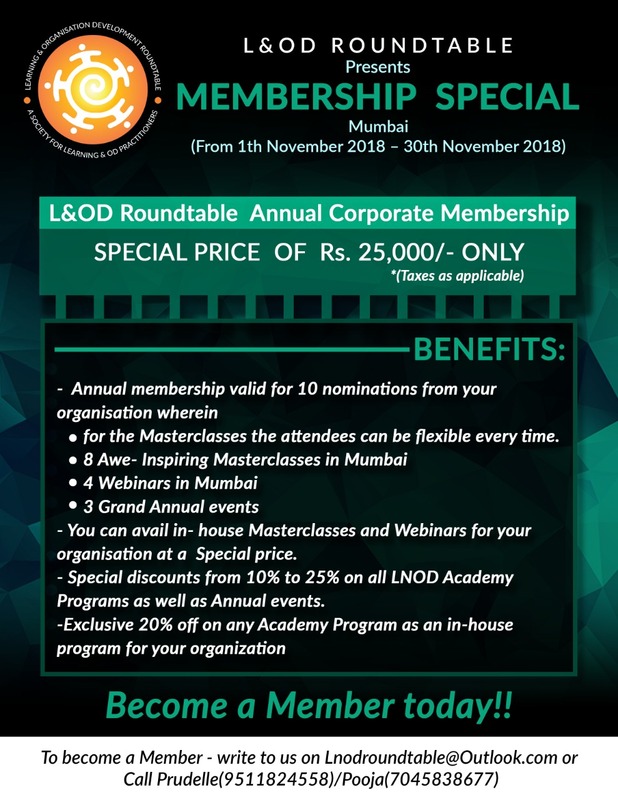 L&OD Website – Your membership entitles you to Members Only section on the Revamped L&OD Website. 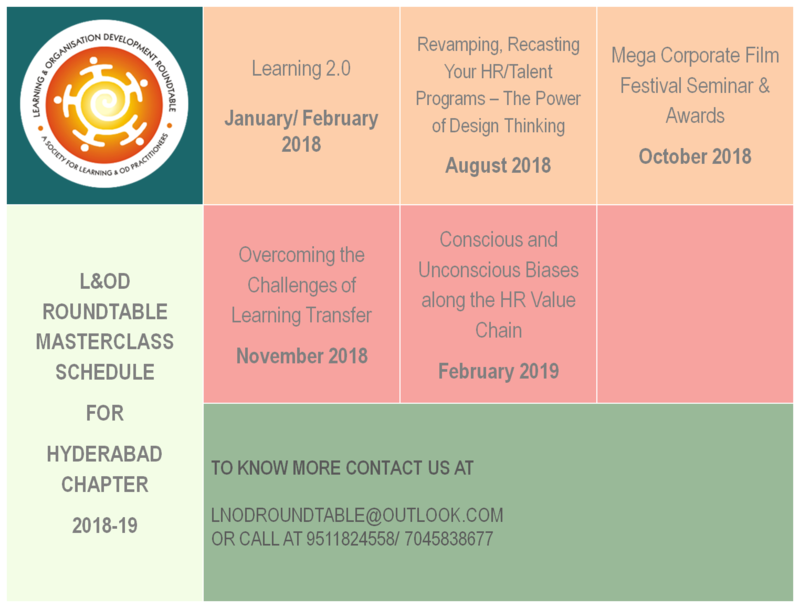 Social Learning – Learn from the experts online at specially created Online Forum on the L&OD Website.